Logo Sky provides services in aerospace industry to international and local airline companies, MRO companies and advertisement agencies. The company is specialised in exterior and interior aircraft liveries and placards, digitally prepared aircraft signs, aircraft paint stencils, paint solutions for small and large aircrafts, and advertising images for airlines. With more than 18 years of experience in aerospace industry Logo Sky has a reputation for quality, high-standards of workmanship, as well as providing cost-effective solutions with all aviation approved materials. 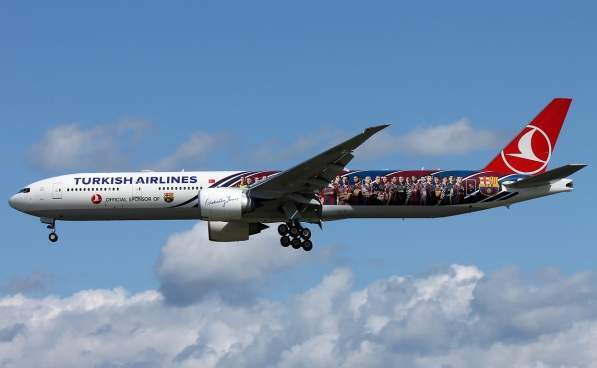 Logo Sky’s services include the design, manufacture and installation of liveries, technical stickers, placards and decals for exteriors and interiors, as well as advertising images. 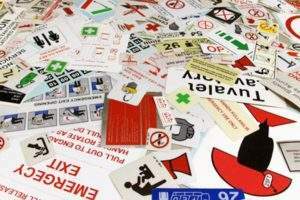 Technical stickers and placards are wear-resistant products suitable for extended use. They are available in multiple languages and for all plane models. All of Logo Sky’s image solutions are prepared digitally for each model in the required dimensions. From here they are transported to the company’s technical teams, who use materials approved by aircraft manufacturers and accepted by the technical divisions of airline companies. Logo Sky manufactures print-quality aircraft paint stencils that are suitable for the aerodynamic structure of aircraft and can be prepared in all colours and dimensions. These stencils can be used as templates, in preparation for the application of an image to the surface, and are suitable for simple and intricate designs. Logo Sky’s uses an in-house paint oven at Istanbul Ataturk Airport, Turkey, that has been designed to accommodate aircraft parts of all dimensions. The company carries out pre-paint procedures approved by the industry on small and large parts in its workshop. 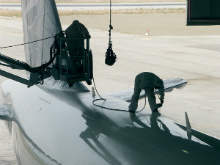 A mobile team can perform a full aircraft paint solution if the necessary space / hangar is provided. Logo Sky has years of experience in installing advertising images on the exteriors and interiors. According to research, 88% of passengers remember an advertisement seen on an aeroplanee, and 77% can recall the product or service advertised. 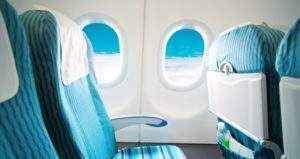 Common sightline areas for such adverts are overhead bins, headrest covers and tray tables, which provide one-on-one communication passengers. Companies, including Ford, Sony, Vodafone and Panasonic, use these avenues as a method of communicating with potential customers. Logo Sky also applies its experience and technology to exterior advertisements. Certificates of international aviation standards for Logo Sky’s services are available. The company carries out work at its production and installation centre located in the apron section of the Istanbul Ataturk Airport. Logo Sky has achieved accreditation to ISO9001, which assures the company’s commitment to customer satisfaction. Using know-how developed over 18 years, Logo Sky can provide certificates that fit with international aviation industry standarts. Staff have unlimited apron passes, with vehicles bearing apron plates and equipment conforming to aviation standards. They also have special training certifications. The apron is not open to the general public and a ramp pass is required to gain access. Please get in touch with us few days before your visit. We are happy to announce that we will be participating in Aircraft Interiors Expo Asia Singapore and showcasing our recent works and materials on October 25-27. Effective onboard advertisment with proper materials. 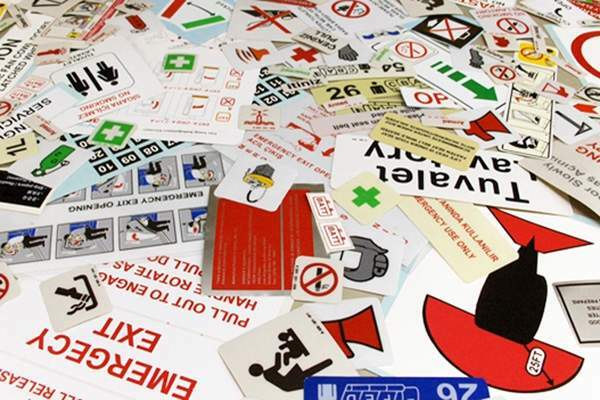 Logo Sky offers a wide range of individual stencils or full kits for all types of aircraft. World-class service, worldwide shipping, no minimum order quantity. Customer orders are ready to send in 24 hours. All the materials Logo Sky use are special aviation-approved aircraft graphic films. High-performance and ultra-durable self-adhesive materials. We are happy to announce that we will be participating in MRO Europe Amsterdam and showcasing our recent works and materials on October 18-20. Logo Sky, a provider of aviation graphic film design and instalment, announces that it will participate in AP&M Expo London, the leading networking event for the commercial aviation aftermarket on June 1-2.